The jazz band performed for a New Orleans style jazz funeral the other week. 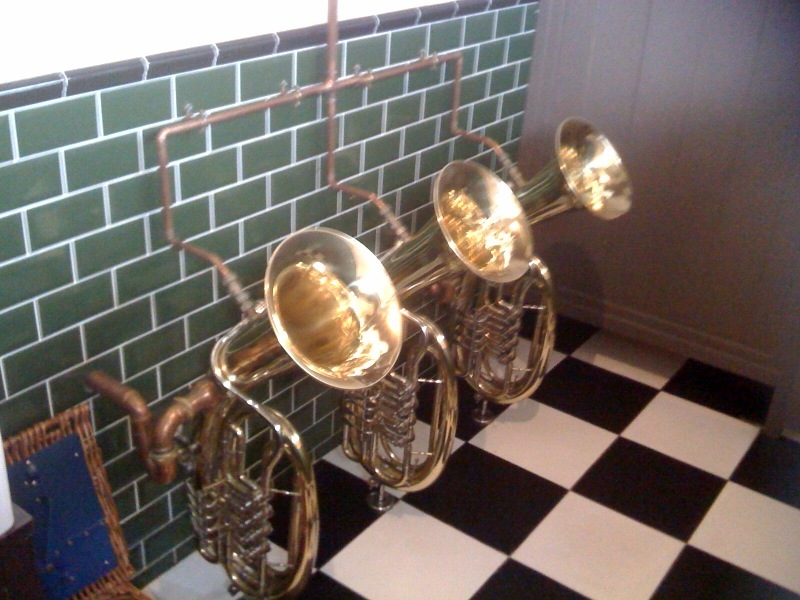 We were absolutely amazed when we walked in to the wash rooms at the venue, these tubas were plumbed in and fully functional. We could not believe what we were seeing!